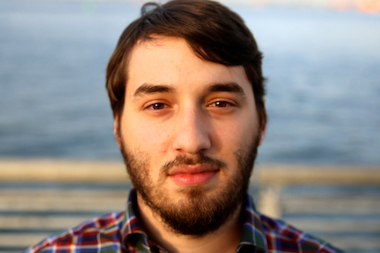 Nicholas Rizzi is a reporter/producer for DNAinfo New York covering Staten Island. Before joining DNAinfo, Nick got his master's degree from the CUNY Graduate School of Journalism, where he concentrated on urban reporting. His work has appeared in City Limits magazine, the Daily News, The Local blog on the New York Times and the Staten Island Advance. Nick was born, raised and still lives on Staten Island, and attended the College of Staten Island where he got a degree in creative writing. He originally started college to study music, and has played bass guitar for more than 10 years. He still plays to this day, but mostly while his girlfriend tries to watch TV. Fun Fact: Nick has been semi-threatened by the father of a "Glee" cast member in his Trump Tower lobby while working on a story. He wasn't too afraid because the guy was holding a poodle. The jury was too divided to reach a verdict on charges in the deaths of Rebecca Cutler's two children. The project, which residents fought to stop, was nearly unanimously approved by the council Tuesday. A GoHealth Urgent Care worker also says in a lawsuit she was denied a promotion because of her race. Staten Island has seen more than 300 cases involving strangulation over the past year. Check out Halloween festivals, learn about a local legend or see a Pixies cover band. A developer filed plans for three four-story buildings near the Great Kills Marina. Queens has the lowest cancer rates of any of the five boroughs, according to state health data.